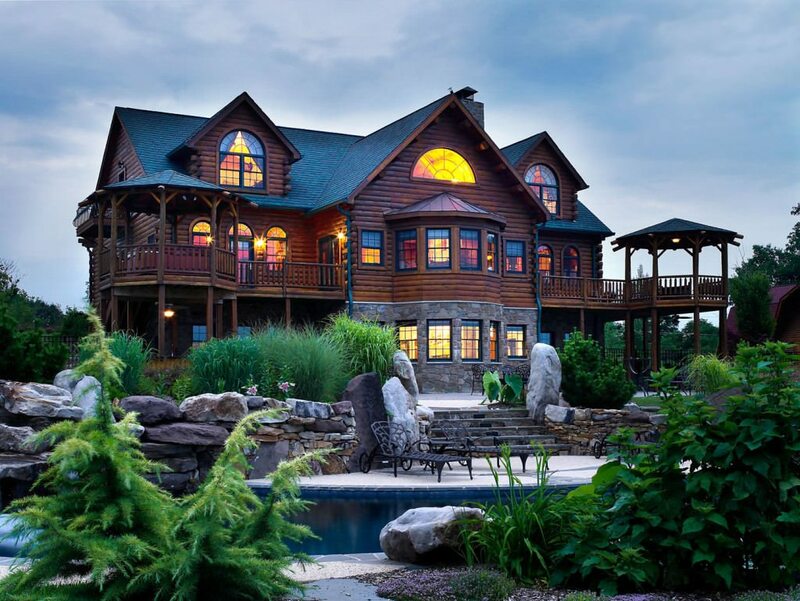 Since its founding in 1973, Katahdin Cedar Log Homes has defined itself by the quality of the cedar log homes it produces, as well as its top-notch customer service, award-winning design, and superior materials. 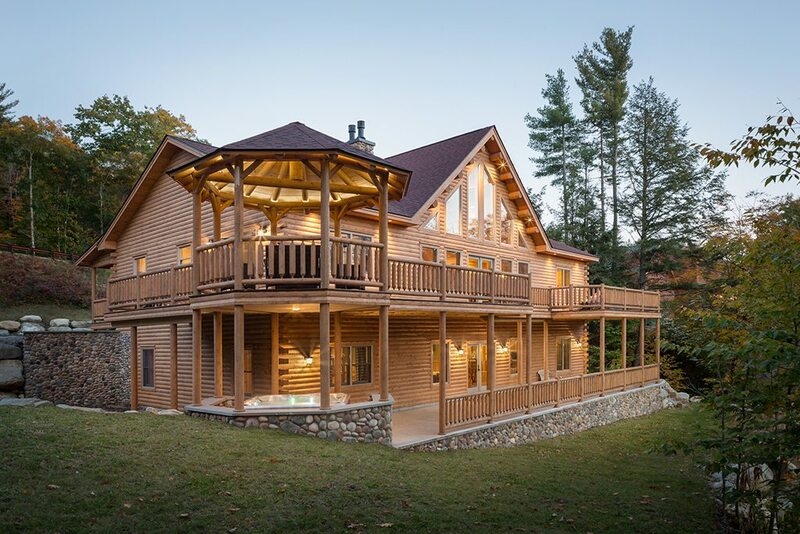 More recently, Katahdin has also taken a leadership role in "green" construction as the nation's only Forest Stewardship Council (FSC) SmartWood Chain-of-Custody Certified log home manufacturer. This certifies that Katahdin can offer cedar harvested from responsibly managed forests. 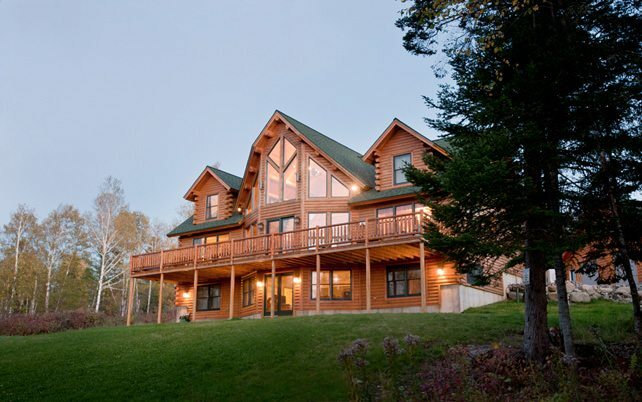 Further, Katahdin is one of a small group of manufacturers working toward designing homes to meet new U.S. Green Building Council's Leadership in Energy and Environmental Design (LEED) standards for homes. One requirement for LEED certification is the use of FSC Certified wood products. 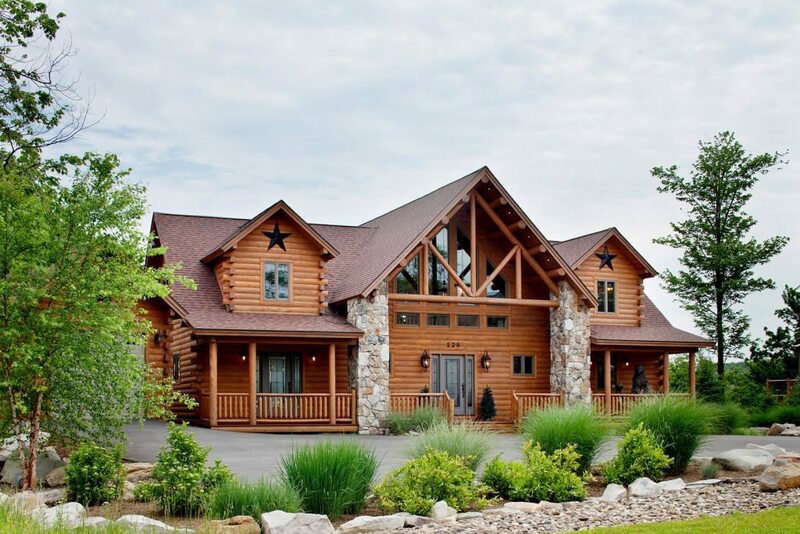 All of this attention to detail means that you are able to purchase the cedar log home of your dreams without sacrificing quality, design or energy efficiency. 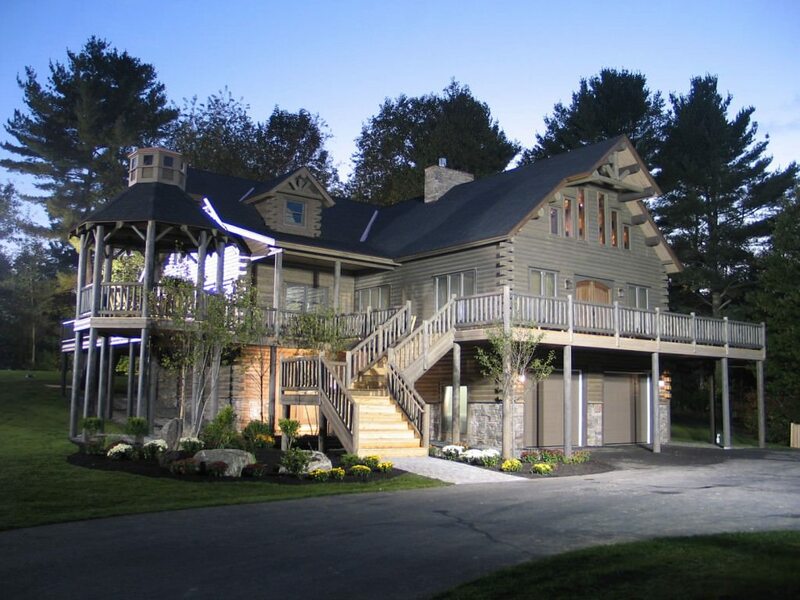 In fact, we had a hand in fulfilling one Maine family's dreams in 2005 when we built the first cedar log home to be featured on ABC's Extreme Home Makeover: Home Edition. How do we do it? First we start with Northern White Cedar, a renewable resource with special qualities. 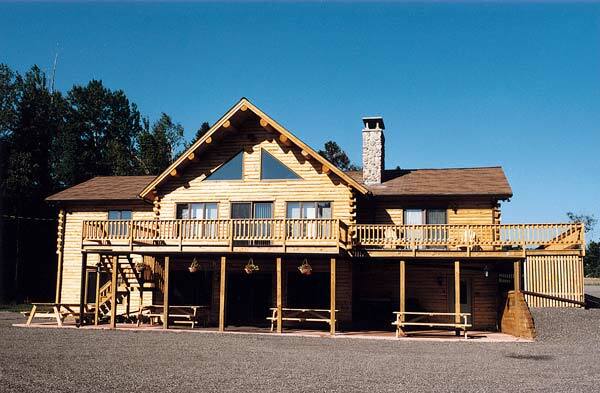 Cedar provides natural resistance to rot and pests, a lower moisture content and better insulation than other log home wood species. 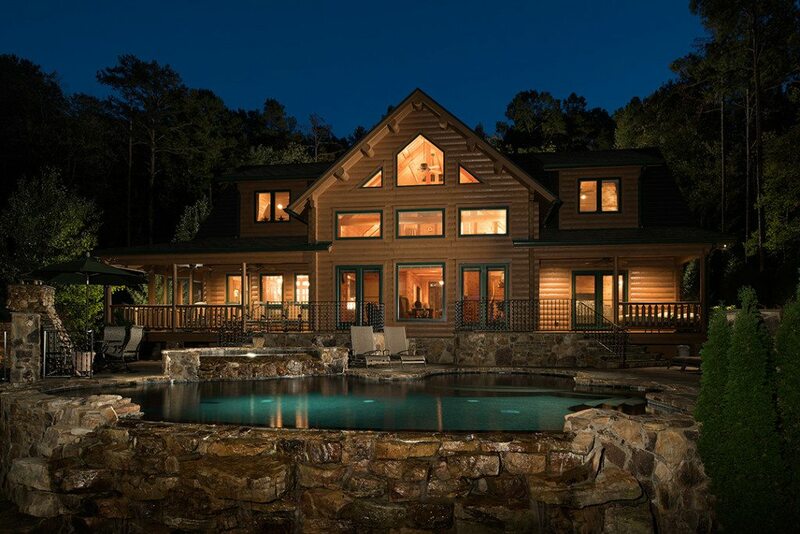 Because of its superior insulating properties, cedar gives you a distinct advantage in lowering heating and cooling costs. By utilizing a number of efficient processes, Katahdin is able to save energy in milling, manufacturing and in the construction of your home. At our mills in Oakfield, Maine, we've been able to cut our fossil fuel consumption by 90% by recycling waste sawdust in our 14 million BTU biomass boiler. The steam it produces heats our mills, clears ice off the frozen cedar logs and fires our finishing kilns. The biomass boiler will also fire our commercial distiller which produces ethanol fuel from local waste potatoes to operate the company's vehicles. Finally, our sophisticated computerized house manufacturing line translates your final plans into pre-cut, pre-drilled logs, which are bar coded and bundled in the most efficient manner for easier and faster construction on site. 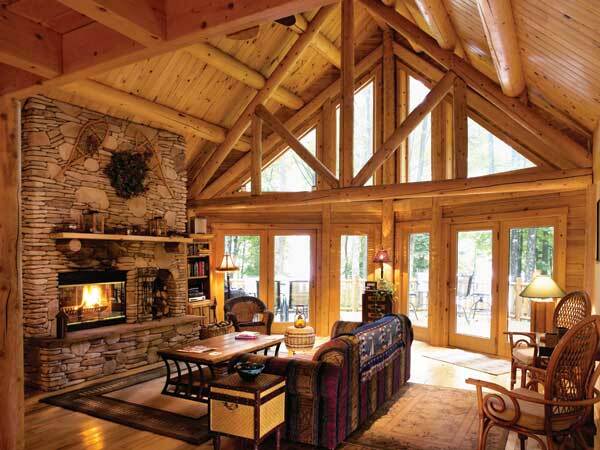 Our website www.KatahdinCedarLogHomes.com offers you the ability to search more than 500 plans and our in-house design department is able to refine existing plans or custom design your own individual Katahdin Cedar Log Home. 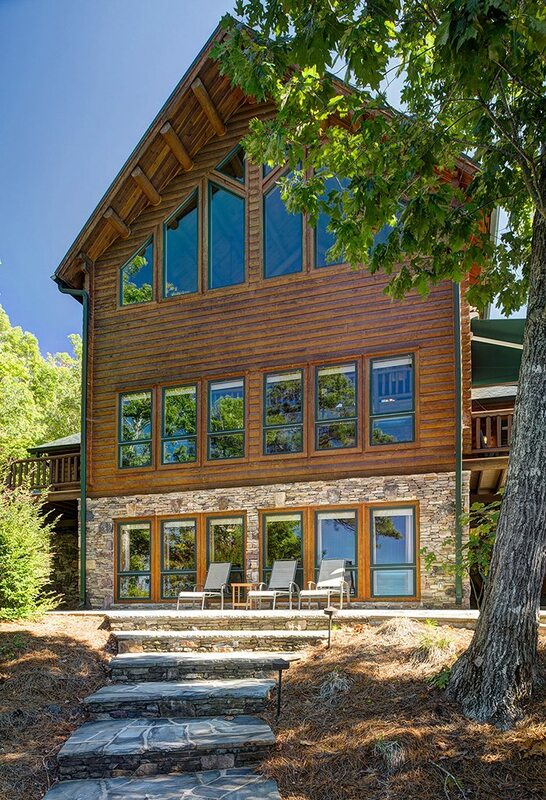 We offer one of the most complete packages in the industry, featuring Andersen windows, Therma-Tru doors and our own free insulation package, which can double the insulating qualities of your cedar home without losing the look of the log wall interior. At Katahdin, we are proud of both our past and our future. We are continually looking for new, innovative approaches without losing sight of tried and true traditions. 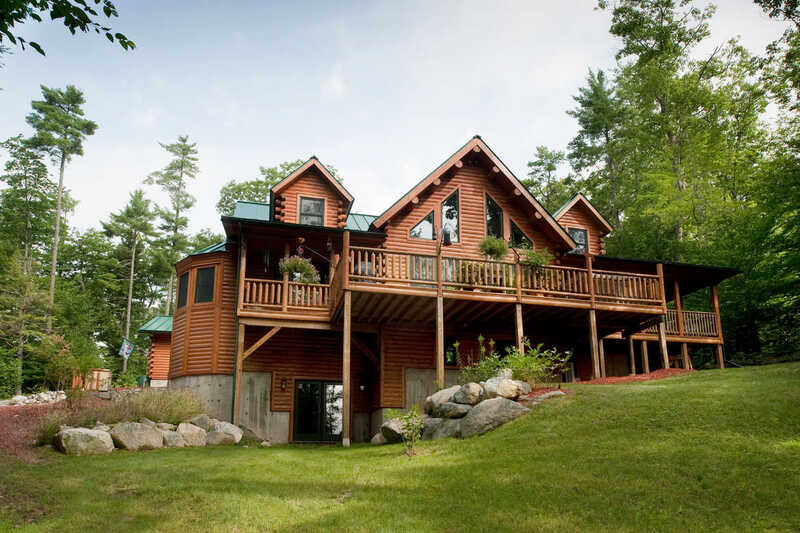 We are also proud of our financial stability and are pleased to offer you a 25-year warranty on your Katahdin Cedar Log Homes. 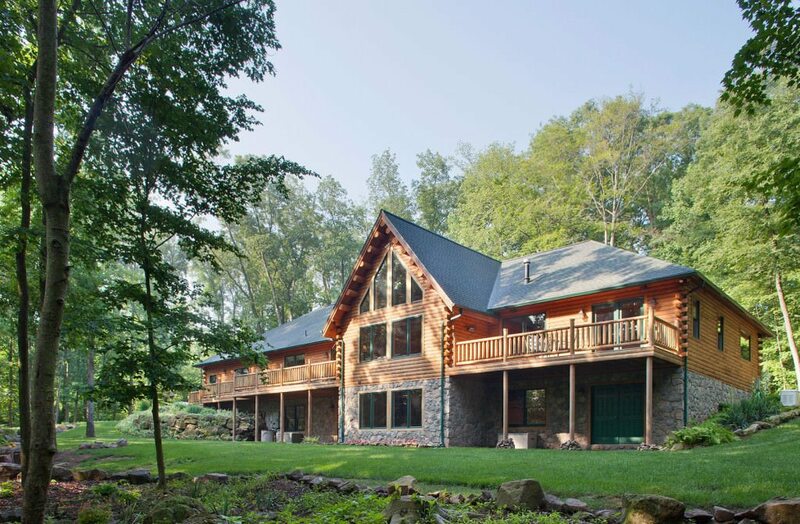 To find a dealer in your area, download a copy of our plan book or learn more about Katahdin, please visit www.KatahdinCedarLogHomes.com or call 800-845-4533. 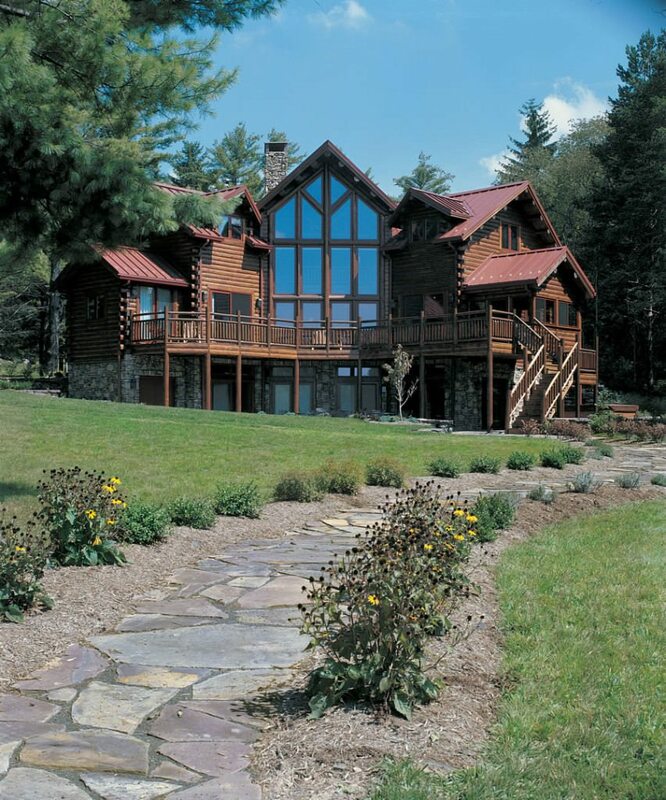 Product Literature Katahdin Cedar Log Homes Portfolio. 94 pages. $12. Developing Your Dream Home Budget Watch now.